While streaming is obviously more convenient for most of us, anyone who wants the best possible picture and sound quality for their home theater needs Ultra HD Blu-ray. The format offers more stability and better fidelity than streaming, and it’s a pretty significant leap forward from 1080p HD Blu-ray, too. That’s especially obvious when you throw HDR (High Dynamic Range) and WCG (Wide Color Gamut) into the mix, which results in increased contrast and greater color volume. Of course, with any technology upgrade comes plenty of conditions and caveats. Do you need a new disc player? Will it be backward compatible? Do you need new cables, a new receiver, or any other new equipment? For the answers to those questions and more, read on. What’s so great about Ultra HD Blu-ray? It’s true that streaming movies and TV shows from services like Netflix, Amazon, and Vudu are the future of TV, but although streaming has made big strides in recent years, discs still outdo streaming when it comes to performance. The reason comes down to one very simple, but important factor: Bit rate. If you want to enjoy Ultra HD Blu-ray discs, you’ll need to buy a new Ultra HD Blu-ray disc player. Simply put, the more data you can deliver, the better the picture and sound quality are going to be, and Ultra HD Blu-ray can deliver a lot of data. Even with relatively fast connections, we’ve noticed artifacts and other issues with streaming 4K content — and it gets even worse when you’re trying to stream HDR content. It’s definitely getting better, especially for those with fast internet hookups, but the difference is there. Perhaps just as importantly, streaming is still behind when it comes to the most readily available object-based surround sound format, Dolby Atmos. While Atmos is trickling to streaming services, it’s currently available only from a few services, with Netflix predictably leading the way. As such, Ultra HD Blu-ray still offers significantly better picture and sound quality than any other format available. Do I need a new Blu-ray player for Ultra HD Blu-ray discs? Yes, you need a new player, as standard Blu-ray players can’t handle the new discs. Fortunately, Ultra HD Blu-ray players will play just about any disc you throw at them, including all your existing DVDs, Blu-rays, and any old CDs you’ve got lying around. Another bit of good news is, while they debuted in the $300-400 range, you can find a 4K Ultra HD Blu-ray player for a killer deal these days (if you’ve got the new Xbox One S or Xbox One X, you’ve already got an Ultra HD Blu-ray player — here’s how you can use it). While you’ll likely have to cross the $100 mark to get a solid model, for those serious about their home theater, it’s well worth the investment. For a list of our favorites available right now, check out our frequently updated list of the best Blu-ray players. What kind of 4K UHD TV will work with Ultra HD Blu-ray? Any and all 4K UHD TVs will work with Ultra HD Blu-ray, including older models with HDMI 1.4 inputs, though there are a few caveats. When connected to a TV via HDMI, an Ultra HD Blu-ray player is able to determine what that TV is capable of and act accordingly. The catch is, the benefits to owners of older 4K UHD TVs will be limited to Ultra HD resolution. In order to get the HDR and WCG features we mentioned, the TV has to be capable of producing the added colors and High Dynamic Range content. These features also (generally) require an HDMI 2.0a for optimal performance, but fortunately, many TV models are capable of adding this via a firmware update, assuming no HDMI 2.0a port or higher is already available. TV manufacturers are quickly catching up, too. Any Ultra HD Premium-certified 4K TV will include support for HDR, while many cheaper models are adding HDR and WCG at a fairly good clip. 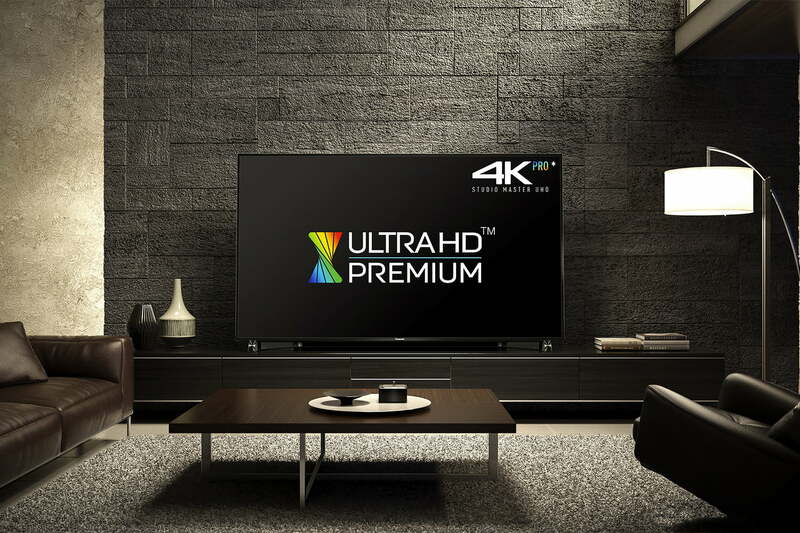 The Ultra HD Premium standard requires a number of features including HDR and a minimum 10-bit color depth — so as long as a TV features this logo, it’s guaranteed to support everything Ultra HD Blu-ray players have to offer. If you’re looking to upgrade for all that 4K and HDR goodness, check out our list of the Best TVs available. Are Ultra HD Blu-ray players backward compatible? Yes, as referenced above, Ultra HD Blu-ray players will play Blu-ray discs, DVDs, SACDs, DVD-Audio, and Redbook CDs. Both standard 1080p Blu-ray discs and DVDs will be up-converted to UHD resolution for playback on 4K UHD TVs. Ultra HD Blu-ray players can also downscale Ultra HD Blu-ray discs to work on 1080p HD TVs, so if an overeager family member gives you a new player and a few discs — even though you don’t yet own a 4K UHD TV — that’s just fine. Will I need any other new equipment? That depends on your system. You may need new HDMI cables if the cables you own don’t support the fastest data transfer. The whole “an HDMI cable is an HDMI cable” adage is no longer true. In the world of Ultra HD Blu-ray, some cheaper cables can’t handle the data throughput. Try the cables you’ve got, and if you run into trouble, plan to buy some new ones. We like these HDMI cables from Monoprice. The more data, the better the picture and sound quality, and Ultra HD Blu-ray is poised to deliver big-time data. As for your A/V receiver, think of it along the same lines as a 4K UHD TV. Older receivers with HDMI 1.4 will be able to support the higher resolution, but likely not HDR or WCG. If your receiver supports HDMI 2.0, it should probably be fine and there’s a chance it could be updated to support HDMI 2.0b (the current standard). However Ultra HD Blu-ray requires HDCP (High Definition Copy Protection) 2.2 and that might mean you’ll need new hardware — it can’t be fixed with a simple firmware update — so if your A/V receiver lacks this, you’ll need to upgrade. There’s an audio-processing component to think about here as well. New surround formats like Dolby Atmos and DTS:X will be available on Ultra HD Blu-ray discs, but to enjoy them, you’ll need a newer receiver with up-to-date processing built in, as well as up-firing or overhead speakers. As linked above, here’s a list of our favorite A/V receivers you can buy right now. If you’re wondering what you’ll need to enjoy Dolby Atmos, check out our full explainer. What is there to watch? Some of the first titles available were The Martian, Mad Max: Fury Road, and X-Men: Days of Future Past. Since then, most widely distributed releases have been made available in Ultra HD Blu-ray format. A number of older films like Salem’s Lot, An American Werewolf in London, and His Girl Friday have also been re-released in the format. Here’s a list of Ultra HD Blu-ray titles available now, as well as a list of some of our favorites that help show off your home theater. There is one caveat here that videophiles would be quick to point out: Many of these titles aren’t true 4K Ultra HD Blu-rays. How can that be? Because they weren’t filmed in 4K in the first place. In order for a film to have a native Ultra HD resolution, you have to use a 4K camera. Many of these titles were recorded at so-called 2K resolution, which is great, but then it has to be upscaled to 4K, which means that not every pixel you see was captured by the camera when the flick was shot — some of it is digital guesswork. Still, even with a 2K transfer, you’ll get a better-quality image than what’s available from standard Blu-ray. High Dynamic Range and Wide Color Gamut mean these new discs will look closer to what the director intended you to see and, believe us, you will see a big difference. Does Ultra HD Blu-ray support digital transfers? Yes. Just as the soon-to-be-defunct UltraViolet did for standard Blu-ray, Ultra HD Blu-ray discs support digital copies, allowing users to access content “across the range of in-home mobile devices,” according to the Blu-ray Disc Association. One of the easiest ways to use your Ultra HD Blu-rays is to store them in any one of the vaults supported by Disney’s Movies Anywhere service, which lets you store movies from multiple studios (and services) all in one place. If you’re confused about what all this new stuff is officially called, you’re not alone. It’s confusing. Here’s the deal: The disc players are called Ultra HD Blu-ray disc players — the term 4K is not involved officially. Even so, the discs themselves have “4K Ultra HD” stamped on the top — they just do. As for the TVs, they are officially 4K Ultra HD, but individual manufacturers sometimes do whatever they want. Sony uses 4K most frequently, but rest assured, Ultra HD is implied. Ultra HD Blu-ray primarily uses double-layer 66GB discs (though 100GB triple-layer discs are part of the spec) and is capable of delivering up to 108Mbps of data. To put this in perspective, consider that Netflix’s 4K Ultra HD streams are delivered at about 16Mbps and represent an average of 14GB of total data for two hours of entertainment. Ultra HD Blu-ray discs are encoded using the relatively new HEVC (also known as H.265) codec. 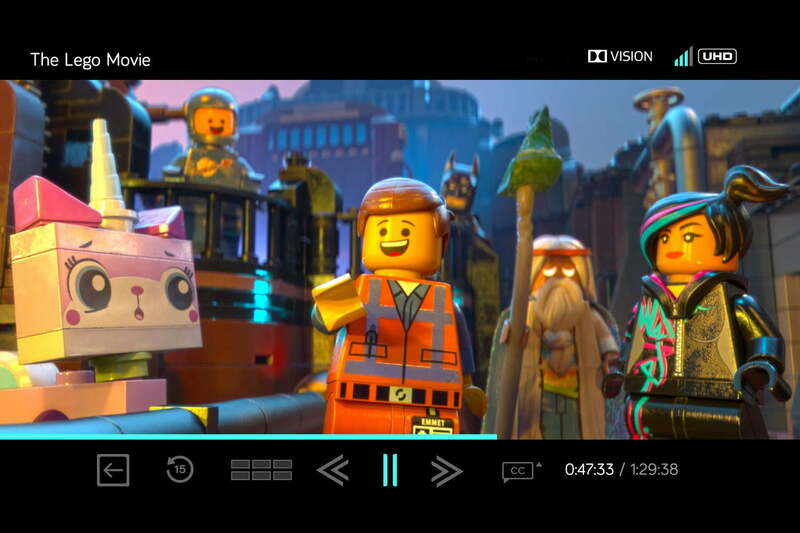 Ultra HD Blu-ray can support several different types of HDR metadata, including Dolby Vision and HDR10, an open standard supported by the Society of Motion Picture & Television Engineers (SMPTE). However, HDR10 is a requirement for Ultra HD Blu-ray authoring. The rest will be up to individual content creators and require TV compatibility with a specific type of HDR metadata. Certain TVs from Vizio and LG support both HDR10 and Dolby Vision, while other TVs currently support only one format, generally HDR10. Dolby opened up its licensing kits for Dolby Vision-enabled Ultra HD Blu-ray players in July 2016, so any players introduced before then aren’t compatible. Some players support both Dolby Vision and HDR10, but it’s a rarer phenomenon than you’d expect. As more TVs begin to support both formats, we expect Ultra HD Blu-ray players to follow suit. How long will the Ultra HD Blu-ray standard be supported? That’s a tough question to answer with any accuracy. As we mentioned at the top, it’s true that streaming services are beginning to offer movies and shows that compare favorably to Ultra HD Blu-ray. They have 4K resolution, HDR, and increasingly, they support advanced surround formats like Dolby Atmos too. 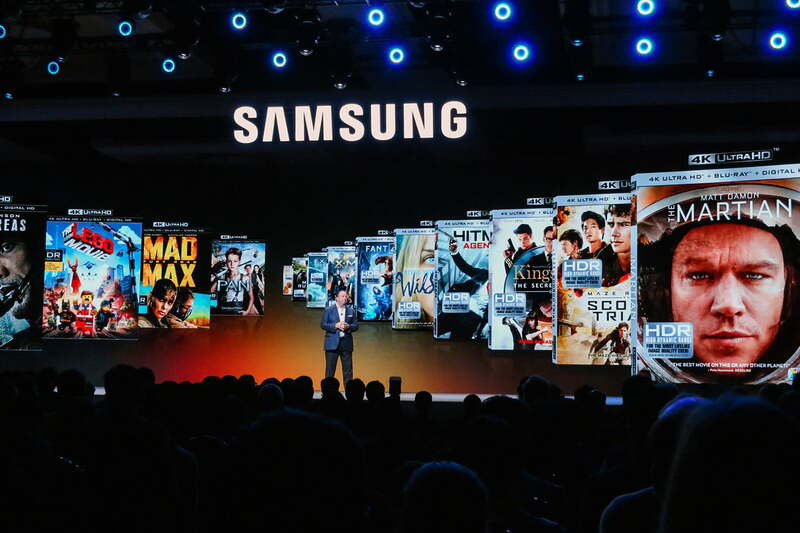 It’s possible that this technological encroachment is the reason Samsung decided to exit the Blu-ray and Ultra HD Blu-ray player market in the U.S., following a similar move by Oppo. However, it’s worth noting that while streaming media long ago eclipsed the quality of DVDs, these discs are still produced, and they still find an audience that’s willing to buy them. In fact the majority of disc-based sales are still in the DVD format. If the DVD’s longevity is any indicator, Ultra HD Blu-rays could conceivably be around for another decade, or more. So there you have it: Everything we know about Ultra HD Blu-ray discs and players so far. We’ll be sure to continue to update this article as things evolve.